I was 24 years and 300 something days old when I met Hubs. While many girls meet the man of their dreams in college, I had to wait a bit for mine. In fact, I was lonely for the godly man who would one day be my husband. I prayed for this mystery man often, daydreamed about our future life together, but ultimately imagined that life would be pretty close to perfect when he swooped in on his white horse and saved me from my loneliness. I was waiting, not so patiently! One night at our church singles group, there he was, the adorable new man in the group. And then we looked deep into each others eyes and it was love at first sight, right? The birds chirped and God sent me a visible sign that my one true love had FINALLY arrived? Not a chance. Instead, we became acquaintances and then the night of my 25th birthday party, we became friends, which soon led to our first date. Immediately, I was drawn in by his magnetic smile, easy going ways and the fact that he was a real, genuine person who did not play games. More importantly, I loved that he loved Jesus! After our first date, we soon had our second, then the third and then eventually, on February 15th he proposed! The man of my dreams wanted to marry me and I was the luckiest girl in the world! 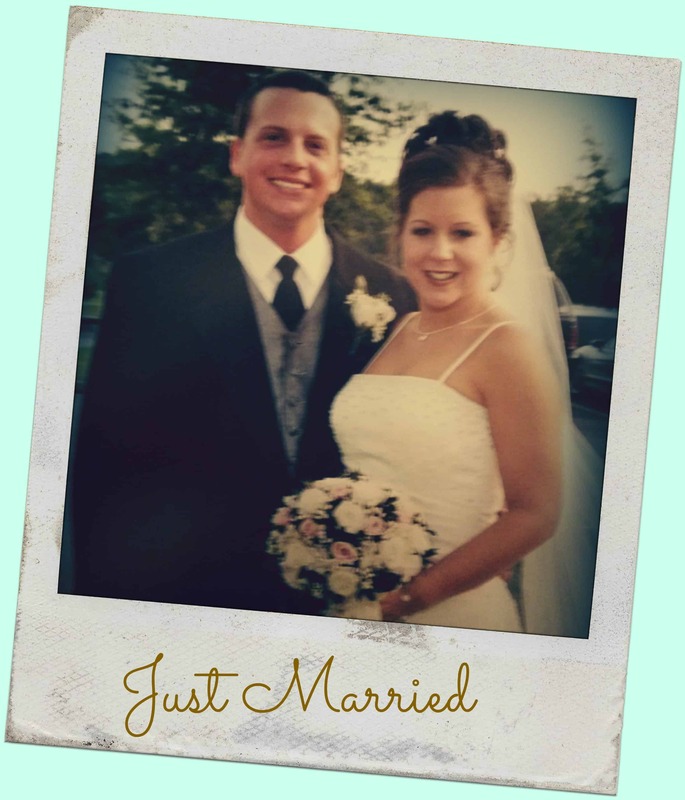 We married on July 5th, 2003 in a small country church surrounded by family and friends. 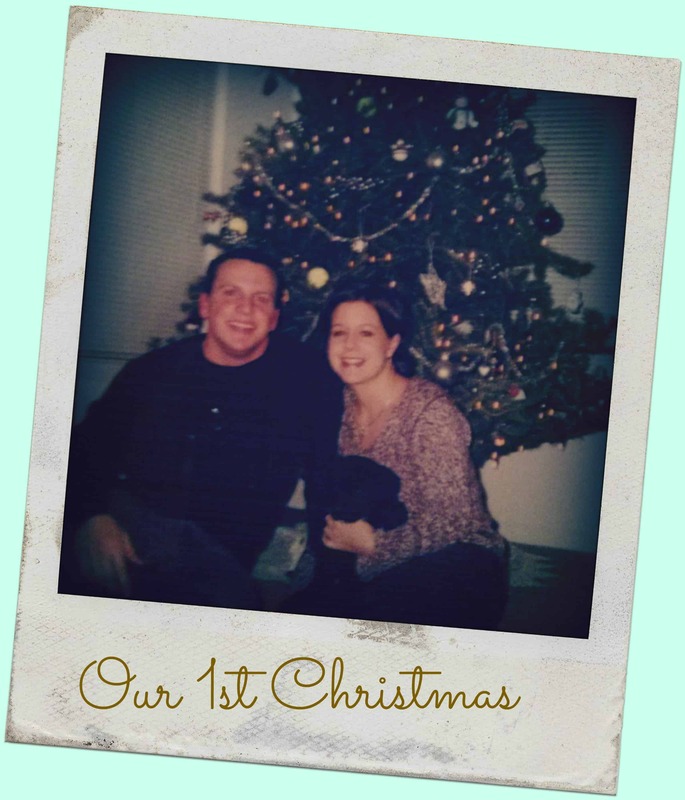 Our first year and a half of marriage was like any newlywed couple. We were adjusting to life with a spouse, fighting and making up, balancing work and time together and really, still getting to know each other. It was a Friday night, almost two years in our marriage, when he first told me he found a lump. My heart raced and stomach dropped as I processed the news. Life became a blur as doctor appointments and soon after, a surgery to remove the lump, were scheduled. The surgery seemed like an eternity. I felt as if our whole lives were hanging in the balance of that one, tiny mass. Either it would be nothing, and we would go home celebrating from being spared from disease, or our lives would change in the blink of an eye. One look at the surgeons face and I knew, that at 27 years old, we were facing our first major storm. 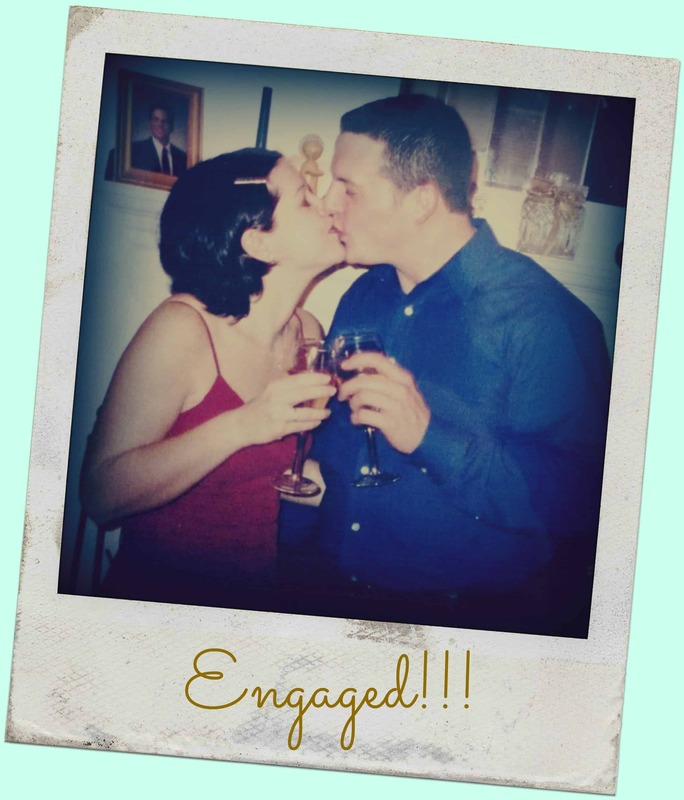 Time froze and stood still as I barely comprehended the words of the surgeon, and for the first time, contemplated the fleeting nature of life and I wondered if I would be a widow before the ink even dried on our marriage license. How do you process news like that and remain unchanged? Instead, you hit your knees and pray, with desperate fervor, like you have never prayed before. You pray that God would perform the miracle you KNOW He can do and heal with a power so deep and so mighty, that the cancer would be gone in an instant. Doctors would be awed by this miracle and know without a shadow of a doubt that Hubs had been healed by none other than the hand of God. Because I KNEW, even in my immature faith, that God still was at work in His children, and MIRACLES STILL HAPPEN!!! Once home from the surgery, we did just that. We prayed; for his health, our future and for complete and total healing, weeping on our knees before the Lord. A strange sensation came over me as we prayed. 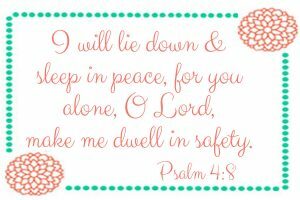 It was as though I could FEEL the presence of the Lord, holding me, comforting me and reassuring me that He had everything under control and to rest in Him. I could FEEL the prayers of His people, crying out on our behalf for healing. 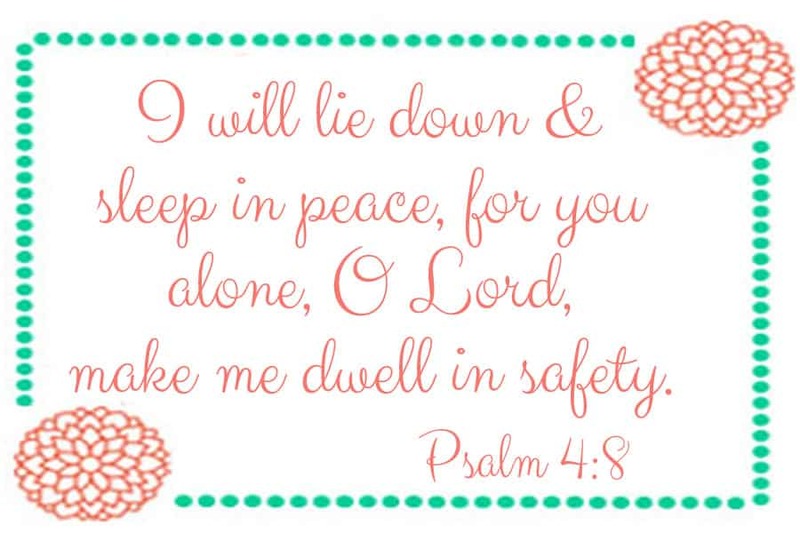 I knew, without a shadow of a doubt, that the Lord was with me and would provide the strength, comfort and ultimately peace we needed to get through this unknown path that loomed before us. That night in the shower, finally alone with my grief, I poured my heart out to the Lord. Weeping and moaning in anguish, I not only begged for healing, but perseverance for the days ahead. At that point in my newlywed life, I wasn’t even sure I was a good wife, let alone a wife who could carry the weight of disease. Did I really know how to support my new husband in his time of need? Would I be enough to provide comfort, yet distraction to the man I loved but was terrified to lose? Once again, God was faithful in my time of need. He graciously reminded me of the promise of His guidance and power, which was yet again balm to my weary soul. It helped to renew my spirit at a time when I reached the end of me, and in my humanity, could not carry the weight of this disease alone. While the support of our amazing family and friends brightened our days and spirit, it was the promises from God’s Word alone that sustained and provided a shelter from this storm. Radiation therapy was the recommended course of treatment and Hubs was quickly “tattooed” with his radiation markers and the treatment commenced. He astounded me day after day with his continued upbeat spirit and rock solid faith that was weathering the storm that at 27 years old, we were both surprised to face. We were ecstatic that the prognosis was excellent; there was a 99% chance that the cancer would NOT come back!! In fact, in the radiation therapist’s 30 year career, he had never had one case of cancer come back with this course of treatment! Relief flooded and life returned to somewhat normal as the radiation concluded and Hubs continued to show signs of complete healing. Yet, a year and a half later, as we desperately tried to expand our family, another lump popped up unexpectedly on Hubs. After a few rounds of antibiotics, in which the lump would diminish and then reappear, another surgery was scheduled. 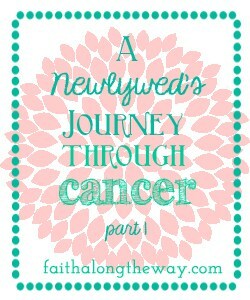 Unfortunately, a cancer diagnosis is far from a rare occurrence these days. Who do you know who is battling or has battled this ruthless disease? I would love to pray for healing and peace in their time of need! This post was linked to Hear-Filled Fridays at Womanhood with Purpose.